It's that time of year where we name the best wearables of Mobile World Congress. So without further ado, may we present: the Huawei Watch 2. Seriously, that's it. Sort of. It was very quiet over in Barcelona in terms of new launches aside from the Huawei smartwatches. Sure, LG dropped a pair of new Android Wear 2.0 watches just before the show and there were a few interesting bits and bobs: A new Gear VR controller (with what looks like last year's headset). Some contactless payments jewellery. A concept hearable from Sony. And some new HTC Vive demos. But just to pre-empt the inevitable handful of 'wearables are dead' hot takes to come out of the show, here's what we think: tech expos aren't the be-all and end-all of launching new smartwatches and wearables. Just wait three weeks and you'll see. Baselworld, that's what. It's pronounced bah-zel-world and it's a big, fancy watch and jewellery show in Basel, Switzerland. This year it starts on 23 March which is just a few weeks away, and we're expecting a bunch of exciting smartwatch launches. Well, like we said, there wasn't nothing. Huawei brought a pair of smartwatches and big names like Samsung gave up plenty of booth space to their existing Gear S3 watches and straps. But not even ZTE showed off a smartwatch this year and they can usually be relied upon to show something. So what's with the switch? Well, it's part of a shift away from treating wearable tech like any other category of tech - finally. I know. It is and it isn't. So one company due to make a big splash at Baselworld is Fossil, which will no doubt have both hybrid analogues and smartwatches with displays at the show. The latter, for a while, was designed following the smartphone model and, as we know, that just didn't work. No-one bought them. So not only have form factors and features changed, marketing and launch plans have too. So MWC is too dorky? Something like that. And also it just makes sense for watch and jewellery brands like Tag Heuer and Swarovski to launch alongside dumb wristwear at Baselworld. They want their own customers to buy into the idea of connected accessories. So Tag Heuer's Connected Modular and the mystery Swarovski smartwatch, which was announced at CES (OK, yes, that's a tech show) will both make an appearance. 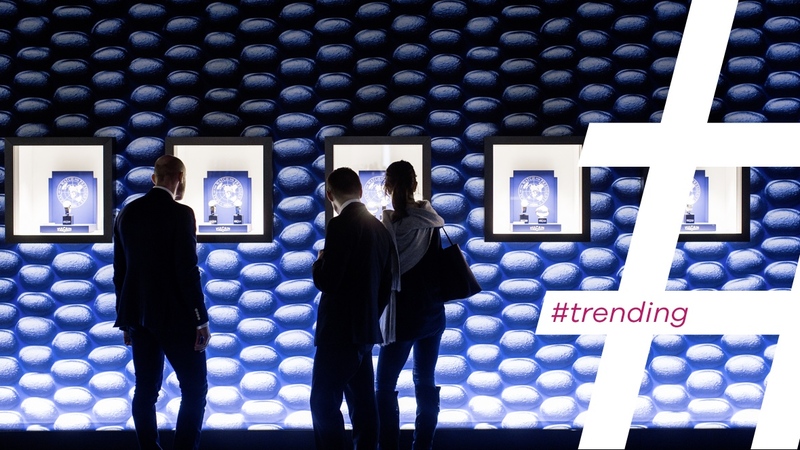 Baselworld is becoming the smartwatch show to watch. And that's not just an industry trend, like we said. Just like that Apple and Met Gala collaboration last year, it's the recognised luxury establishment letting wearable tech into the (seriously swanky) party. Probably not, Apple doesn't do other people's events. Good point, though - the Apple Watch is the most successful device to cross over between tech fanboys and fangirls, fashion crowds and richer-than-thou watch fiends so far. Huawei has been looking to mimic this itself but its new watches go down the sporty route instead so an MWC splash made more sense. We'll be there but it's not just Baselworld. Paris Fashion Week is happening right now and we reckon we'll see more individual events rather than tacking smartwatch announcements onto smartphone launches. So if, like us, you were underwhelmed, don't despair. There's more to come.